Cinco de Mayo (Spanish for the 5th of May) marks the 1862 victory of the Mexican army over French troops at the Battle of Puebla. It has become a popular cultural holiday in the Southwest, even surpassing its importance in Mexico. The first thing one needs to learn about Cinco de Mayo is that it is not a celebration of Mexican independence. Mexican Independence Day (September 16) commemorates the start of the Mexican revolt against Spain in 1810. Look in the introductory paragraphs for a link to learn more about the origins of Cinco de Mayo. The rest of the page includes a variety of Mexican themed activities: recipes, songs, Day of the Dead activities, coloring pages, worksheets, and crafts. My favorite Cinco de Mayo craft is a Mexican Sombrero (hat) made from four sheets of newspaper. "A relatively minor holiday in Mexico, in the United States Cinco de Mayo has evolved into a celebration of Mexican culture and heritage, particularly in areas with large Mexican-American populations. 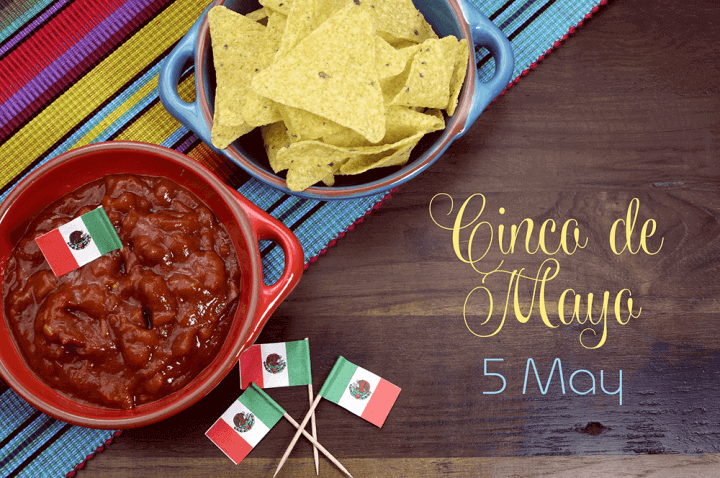 Cinco de Mayo traditions include parades, mariachi music performances and street festivals in cities and towns across Mexico and the United States." Visit to learn about Cinco de Mayo through an article, videos, and a photo gallery. This two-page article explains how Mexico struggled in its early years of independence. After years of economic woes, the "French invaded Mexico, and with the help of the Mexican Conservative party, Louis Napoleon imposed Maximilian of Hapsburg as Mexico's emperor in 1864." The story has many twists and turns, and is an exciting one to read. Be sure to visit Cinco de Mayo Facts, which is listed in yellow at the bottom of the page. Pinterest is a hotbed of craft collections! This board from pinner Deb @ Living Montessori Now showcases 57 Cinco de Mayo crafts and activities from all corners of the Web. Click twice on any of the pretty pictures to view the craft on the original website. MEXOnline is my pick of the day site for Cinco de Mayo history. It is illustrated with a map showing the town of Puebla, a picture of Maximilian (the Archduke of Austria), and the hero of Cinco de Mayo, General Ignacio Zaragoza Seguin. "The battle at Puebla in 1862 happened at a violent and chaotic time in Mexico's history. Mexico had finally gained independence from Spain in 1821 after a difficult and bloody struggle, and a number of internal political takeovers and wars, including the Mexican-American War (1846-1848) and the Mexican Civil War of 1858, had ruined the national economy." Feldman, Barbara. "Cinco de Mayo." Surfnetkids. Feldman Publishing. 28 Apr. 2015. Web. 19 Apr. 2019. <https://www.surfnetkids.com/resources/cinco-de-mayo/ >. By Barbara J. Feldman. Originally published April 28, 2015. Last modified October 25, 2015.